A client cannot blame the failure of solicitors to send a land transaction return to the taxman so as to avoid a fine for late filing, a tribunal has ruled. Andrew Oliver appealed against the flat rate penalty of £200 imposed on him for the failure to submit the return, the SDLT 1, within the 30 days allowed following a lease extension for a residential property. Instead it was received by HM Revenue & Customs (HMRC) 252 days later. Mr Oliver apologised for the late submission and told the tribunal: “The return was for a lease extension on a flat that I own and I was advised by the freeholder’s solicitor, verbally, that they would do the return. However, it transpired that the solicitor wanted me to do the return and as soon as I was aware of this, I sent it to HMRC. That there was no tax due on the transaction was irrelevant, as parties were obliged to file such returns even if no tax was owed, while the penalty was set down in statute. 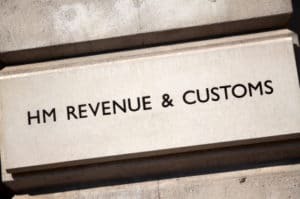 Dr Khan added: “In transactions such as this one, most people use a solicitor or legal conveyancer to act on their behalf, but it is the appellant’s responsibility to notify HMRC and to pay any tax due. The appellant does not have a reasonable excuse if that responsibility is delegated to the vendors’ solicitors.